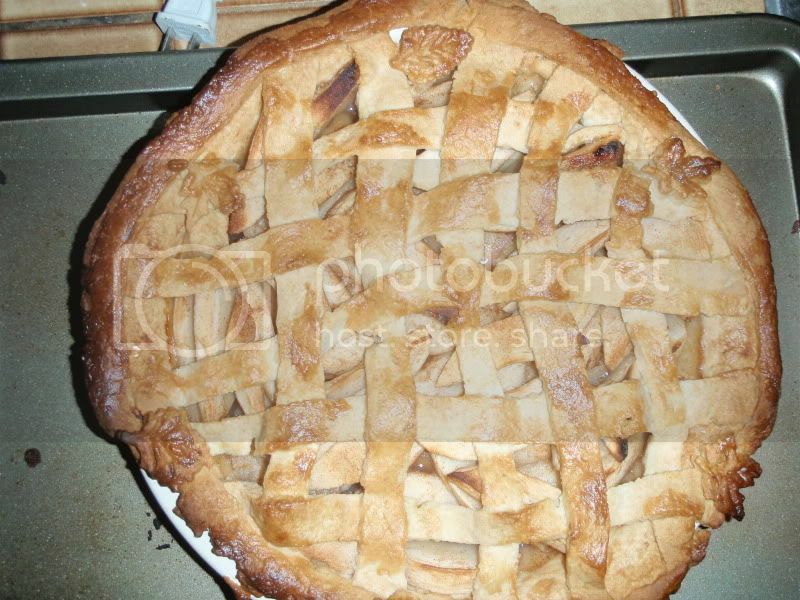 I use the William Sonoma double pie crust posted a couple days ago. 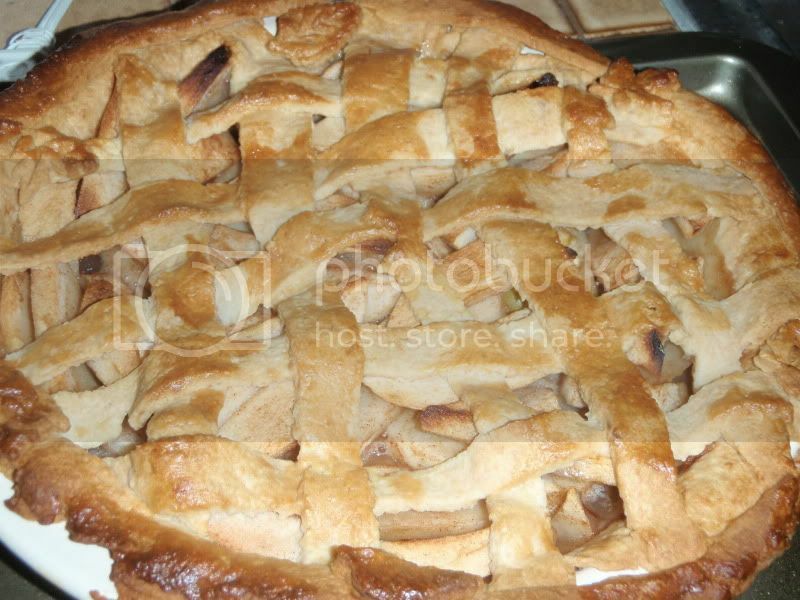 This filling also appeared in my apple pie pocket recipe earlier this year. Prepare the dough and roll 1/2 into a large disk that just hangs over the rim of the pie pan. Peel and slice the apples about 1/2 inch thick. Dunk them in water and lemon juice as you chop..this stem hinders oxidation which isn't important when baking a pie, but I always do this whenever I cut apples. Toss apples with sugars, salt, flour, and cinnamon. Pour into pie and dot with butter. Roll the other 1/2 of the pie dough and make a lattice or top with a couple of slices for steam to escape. Brush with egg wash.
Bake for 45 minutes until mixture is bubbly and crust is golden brown.